Introduced onstage as: “The world renowned, hard to kill, pistol-packin’, chicken-pickin’, string-pullin’, show stoppin’, freight train hoppin’, gamecock walkin’, master of electricity, king of gutbucket blues, connoisseur of women, His Royal Highness”, Little Freddie King is a key figure in the New Orleans’s music scene and brings unrivaled enthusiasm, passion and style to his performances. As the blues evolve, artists with Mr. King’s life experience and exposure to earlier generations of this music are slowly disappearing. Freddie has become one of New Orleans’s great cultural ambassadors as he has extended his music and travel beyond the City to a National and Global audience. 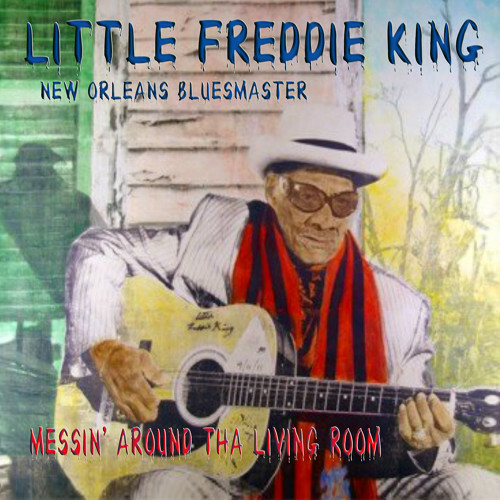 His style is rooted in a unique combination of Mississippi country and New Orleans urban flavor to make a gumbo of Blues that unleashes his pride in both regions.